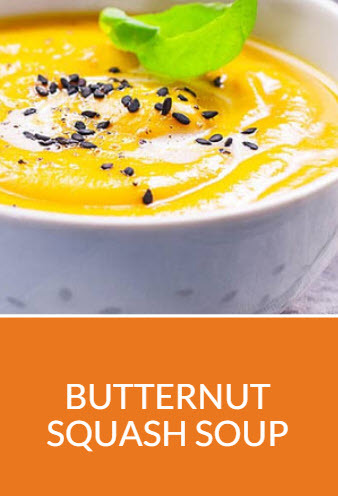 This is a great Neocate® Nutra recipe to try when the weather starts to cool off. Butternut squash is delicious, and can be found at your local farmers market or grocery store. Mix chicken broth (or water) and butternut squash in a medium saucepan. Cover and bring to a rolling boil over medium-high heat. Reduce heat & add seasonings, salt and pepper, if using, and simmer for about 10 minutes, covered. After simmering, remove from heat and allow mixture to cool for 5 minutes. Do not directly heat the Neocate Nutra: add it to the soup AFTER it has cooled. Stir in Neocate Nutra 1 Tbsp at a time to prevent clumping. Consult your healthcare professional to determine if this recipe, ingredients, and consistency are appropriate for your child. Nutritional values are approximate and will vary based on quantities and substitutes. Cooking with or freezing Neocate may affect some nutrient levels. Image used is for illustrative purposes only and does not represent finished recipe. Whether you are new to food allergies, need help with a lifestyle change, or are looking for new ideas, we are here for you. Neocate Footsteps is a free service that sends you personalized, age-appropriate information.